The first Lebanese lady Nadia Aoun, expressed her wishes to the Lebanese mothers, considering that they constitute the base of education on values and the unity of the family. She visited retirement homes to congratulate the elderly mothers. She began her tour visiting the long life home that is part of the institutions of social protection in Jnah, where she listened to the demands of the women living in this home. 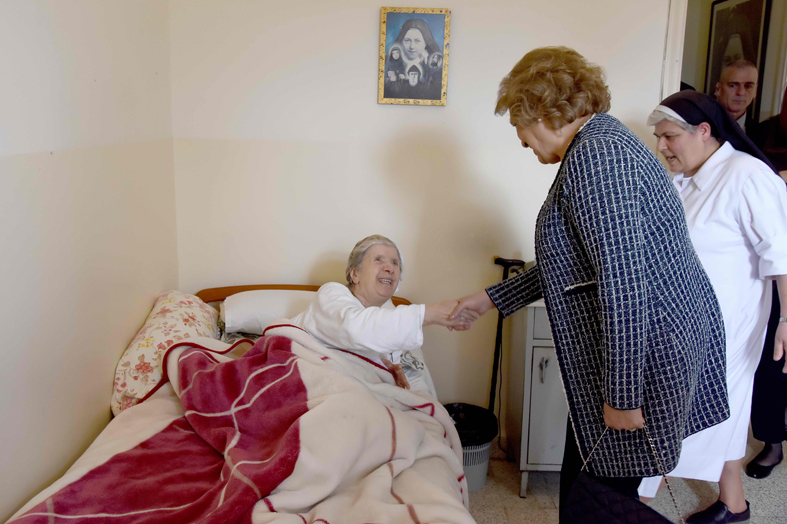 She continued her tour visiting the maronite asylum for the elderly in Furn El Chebbak managed by the Congregation of Saint Therese of the Child Jesus, where she thanked the sisters for their services and their devotion towards their mission, wishing them a good continuation in their engagement towards the elderly.